Sally Burgess is one of Britain's most popular performing artists in opera and on the concert platform. She has an outstanding reputation as a fine dramatic mezzo soprano with the versatility to sing music in diverse styles, and her extensive repertory ranges from Purcell and Handel to Verdi and Wagner to Paul McCartney and Philip Glass. She has had notable successes in Europe as Amneris in Wiesbaden, Lausanne, Strasbourg and Nancy. She has also sung Dalila in Samson et Dalila at Nantes Opera. With the English National Opera she made an acclaimed debut in David Pountney's production of Carmen and has since gone on to sing the role at the Bregenz Festival, with Portland Opera (USA debut), in Zürich, Berlin, New Zealand and at the Metropolitan Opera, New York. Her numerous roles with ENO have included Judith (Bluebeard's Castle), Charlotte (Werther), Octavian (Der Rosenkavalier), Mrs Begbick (Kurt Weill's Mahagonny), Herodias (Salome), Dulcinée (Don Quixote) and the title role in Carmen. Sally Burgess has also appeared with Scottish Opera and is also a regular visitor to Opera North where she has sung Amneris, Gluck's Orfeo, Dido (The Trojans), Carmen, Laura (La Gioconda), Azucena (Il Trovatore) and Eboli (Don Carlos). Sally Burgess recently made her debut at the Paris Bastille in the role of Carmen; and has sung the role of Ottavia in David Alden's new production of The Coronation of Poppea at Welsh National Opera, and the title role in Carmen at the Bayerische Staatsoper, Munich. She has also sung in Philip Glass' The Voyage at the Metropolitan Opera, and the role of Amelia in Mark Anthony Turnage's new song cycle Twice Through the Heart which was written for her and commissioned by English National Opera. In concert, Sally Burgess has worked with the world's leading orchestras including the Royal Philharmonic, Royal Liverpool Philharmonic, BBC Philharmonic and Royal Scottish Orchestras. Sally Burgess sang in the world-première of Paul McCartney's Liverpool Oratorio, in the American-première at Carnegie Hall and on the subsequent EMI recording. 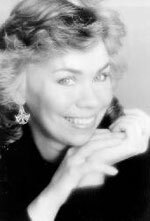 In August 1990 Sally Burgess made her West End musical debut in the Opera North / RSC co-production of Jerome Kern's Showboat, for which she was nominated for 'Best Actress in a Musical' at the Olivier Awards. She is also an accomplished jazz singer performing regularly with her husband Neal Thornton, with whom she released Sally Burgess Sings Jazz (TER) and The Other Me (Timbre). They have appeared at various Festivals including the Three Choirs, Harrogate, Edinburgh, Newcastle, Buxton, at London's Pizza on the Park, and as far afield as Christchurch, New Zealand. Other performances include a Prom concert of Gershwin songs, Opera Gala/Jazz evenings in Brighton, Sevenoaks, Temple Newsam in Leeds, Bristol Docks, and an evening at Highgrove House in the presence of HRH Prince of Wales. These evenings themselves cover a wide span within the cabaret jazz umbrella. The songs range from the classics of Gershwin, Cole Porter and Kern to works by contemporary writers (e.g. Sondheim, Bernstein), and several original songs written for her. Amongst her repertoire is a suite from Porgy and Bess. She has presented her one-woman show written especially for her, entitled Sally Burgess' Women, at the Lyric Theatre, Hammersmith, and last season she sang in a Gershwin Centenary Gala at the Barbican Hall. Sally Burgess recently sang Kabanicha in David Pountney's new production of Katya Kabanova at the Bayerische Staatsoper in Munich, Fricka (Das Rheingold & Die Walküre) for Geneva Opera, Carmen at ENO, and Mother Marie (Dialogues of the Carmelites) at Welsh National Opera.